Home Blog Where Will Guests Stay in Your New Home? Where Will Guests Stay in Your New Home? A timber frame home, with its traditional timber connections and wide open spaces is something people build to be celebrated and shared with family and friends. Whether it is that lakefront getaway your grandchildren visit in the summer or your extended family’s hillside retreat for the holidays, you want your home to be a place of comfort and relaxation for all. This week we take a look at how considering the kind of company you will keep can lead to the design of comfortable and functional guest spaces. How long will your guests be staying? When you begin planning the kind of guest space you will need, it is important to think about what sort of company you will be expecting and for what duration of time. Will you be expecting frequent weekend visitors, or perhaps your grandchildren will come to stay every summer. Will your home act as base camp for ski buddies, or do you have parents you plan to host for several weeks at a time? By considering your potential guest lists, it can help your designer create the proper amount of space and kind of living arrangements that will be comfortable for you as well as your visitors. How much guest space should you have? Once you have a good idea of what kind of company you will expect in your new home, then you and your designer can collaborate on how much and what kind of guest spaces you will need to incorporate. If you are someone who is expecting the occasional weekend visitor, it might make sense to simply include an additional, all-purpose bedroom. 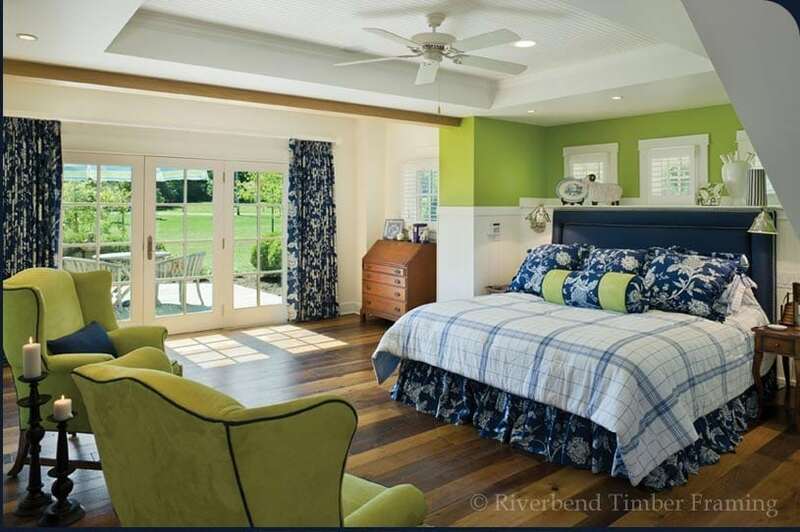 If you will be expecting your parents to come and stay for extended periods of time, consider including a second master suite where they can feel more at home. Loft space is a natural extension of a timber frame structure that can also be great for quick, additional sleeping space—especially for children and their sleeping bags. 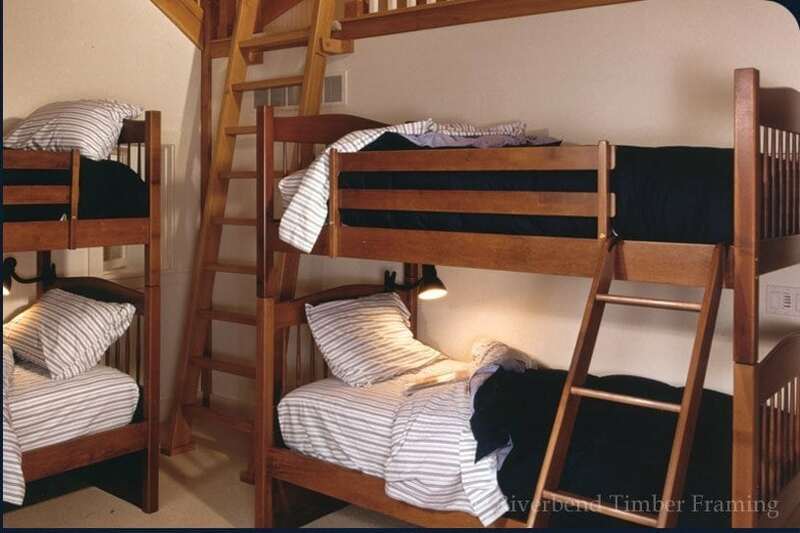 However, if you are a grandparent expecting longer visits with your grandchildren, a designated bunk room may be a more creative solution you consider. What about above the Garage? Creating actual apartments with sitting rooms, bathrooms, and kitchens, for guests is another design option that has become popular for clients building wood homes today. Perhaps you have a great location near a popular ski resort and you expect ski buddies will be coming to hit the slopes, creating a space above the garage for an apartment may be something to contemplate. These designs can allow guests to be near the main home, while still offering them the privacy and functionality of their own space with room for all of their winter toys. You’ve spent years planning your dream home so that you could share it with friends and posterity for generations to come. Make sure your design creates a space where visitors can relax and enjoy your home as much as you. Take a look through our photo gallery today to help you gather additional ideas for your design.